Mr Adekilekun was called to the Nigerian Bar as Barrister and Solicitor of the Supreme Court of Nigeria in 2005 with 2nd Class (Upper Division). He was elected as a treasurer of the Nigerian Bar Association, Ilorin Branch for 2007 – 2009. 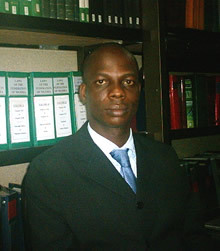 He had previously held the post of Chairman, Academic Committee, Faculty of Law, University of Ilorin between 2002 – 2003. University of Ilorin, Ilorin LL.B (Hons) 2003 (2nd Class, Upper Division); Obafemi Awolowo University, Ile-Ife, LL.M (2009, in view). Banking and Bank Lending,Corporate and Commercial, Intellectual Property, Energy.